It is not a critical term that often comes to mind, but David Ayer’s Suicide Squad strikes me as a very meh kind of film – a hodgepodge of characters and moments that work, and characters and moments that don’t work, tossed together in a story line that sometimes makes sense and sometimes doesn’t. Further, the film cannot escape the perception that it is a stopgap measure, offering an army of second-tier characters from the DC universe to keep audiences engaged until films featuring more popular superheroes can be completed and released. This is not only something one might infer from examining the projected schedule of future DC films; in a concluding scene that many viewers will miss – because it comes after the first round of credits – government official Amanda Waller (Viola Davis) and Bruce Wayne (Ben Affleck) all but affirm that this film’s Suicide Squad of unruly supervillains is slated to be shoved to the sidelines as soon as Batman can assemble a superior team of champions, the Justice League of America. Even when the protagonists aren’t stars, fans of the DC universe will rush to this film to see how the filmmakers have rendered their collection of characters, and sometimes they will be pleased. Among those who command attention is a consistently effective Will Smith as Deadshot, though it is painfully obvious that the script was rewritten to maximize his visibility, and the film ultimately overplays the argument that this cold-hearted assassin is actually a warm, wonderful guy who only kills people when he can’t spend some quality time with his beloved daughter. Though given much less screen time, Killer Croc (Adawale Akinnuoye-Agbaje) actually emerges as the film’s most likable villain, and the one most clearly depicted as a victim of society: “He looked like a monster, was treated like a monster, and became a monster.” One would have liked to see more of Katana (Karen Fukuhara), an obscure sword-wielding superhero bizarrely added to the team at the last minute, and while it was not a good sign that the film based one joke on the premise that Harley Quinn (Margot Robbie) was annoying, she is not as annoying as might have been feared. Furthermore, Harley Quinn is at least occasionally funny – which is more than one can say about Jared Leto’s Joker, easily the film’s greatest disappointment. In contrast to his most renowned precursors – Cesar Romero, Jack Nicholson, and Heath Ledger – Leto seems inappropriately subdued, even dull, never displaying the maniacal energy and imagination that one expects in the character. His only amusing antic, a device borrowed from The Dark Knight (2008) (review here), is having his henchmen wear incongruously playful masks – a panda, a ram, Batman. Instead of looking forward to his periodic intrusions into the plot – efforts to rescue his girlfriend Harley Quinn – one starts to dread them, and the entire character could have been excised from the film without affecting its quality. Other disappointments include the consistently marginalized Captain Boomerang (Jai Courtney), who rarely gets to throw one of the boomerangs that presumably led Waller to recruit him, and Cara Delevingne’s Enchantress, whose overt theatricality seems forced and ineffectual. Her final scenes, when she is endeavoring the destroy the world, almost provoke laughter, as she stands on a makeshift stage, dressed like, and gesturing like, a neophyte Las Vegas showgirl surrounded by glitzy special effects. As another major problem, the filmmakers knew that they were introducing several characters that most members of the audience had never heard of, and their unfortunate solution was to clutter the film with their backstories. Suicide Squad gets off to a slow start as Waller dutifully summarizes the careers of its major villains, and throughout the film, even at moments of greatest peril, characters will pause to recall, or describe, past experiences that help to explain why they were driven to lives of crime. There are also distractions caused by the fact that this film is merely one piece of its studio’s grand design – the DC Extended Universe! – so there are regular references to the events of the previous film, Batman v Universe: Dawn of Justice (2016) (review here), as well as hopefully tantalizing hints of the next film to come, the still-filming Justice League. So, as in the earlier film, filmgoers get another fleeting glimpse of Ezra Miller’s Flash – this time, he actually gets to say something; there are photographs of Gal Galot’s Wonder Woman and Jason Momoa’s Aquaman; and a few scenes feature Affleck’s Batman, again doing things utterly at odds with the hero’s established character (apparently trying to kill Deadshot, bending over to kiss Harley Quinn after rescuing her). Further, still worried about criticism of the massive violence unleashed upon the good citizens of Metropolis in Man of Steel (2013) (review here), the filmmakers take pains to include a scene of this film’s imperiled Midway City being evacuated, and as members of the Suicide Squad walk down the deserted streets, one sees huge “MANDATORY EVACUATION” signs as another reminder that no innocent bystanders will be harmed during the making of this movie. I have so far said little about the plot of Suicide Squad, which for the most part is standard superhero fare: there is a team of villains obliged to act like heroes by the threat of instant assassination (although – surprise! – they start to like being good guys); there are two, seemingly omnipotent villains, the Enchantress and her brother Incubus (Alain Chanoine), hell-bent on wiping out the human race for no clear reason; and the struggle between these antagonists involves lots and lots of fistfights, gunplay, stabbings, beheadings, explosions, and other random acts of mayhem. What’s interesting is that the whole story can be interpreted as a fable about the dangers of Big Government, intruding into areas where they should not be intruding with ruinous results. Inevitably, however, everything goes wrong: first, while no evil Superman appears on the scene, a genuine menace does emerge – a villain previously under government control, the Enchantress, who is ineptly allowed to escape from confinement. Then, as the Suicide Squad goes into action to combat this government-created threat, they are repeatedly forced to waste precious time saving their non-super overseer, Colonel Rick Flag (Joel Kinnaman), and their primary mission at one point is not to defeat the Enchantress but to rescue someone who the government intimates is the most important person in the entire world – the government’s own Amanda Waller! Further, government officials can never prevent the Joker from disabling their unstoppable technology or breaking into their impregnable prison. It is telling that the Suicide Squad finally becomes an effective fighting force only after Flag releases them from his supervision, so they can figure out on their own how to defeat two demons from another dimension; and it is finally acknowledged that their victory over the Enchantress was a matter of “luck,” not careful governmental planning. 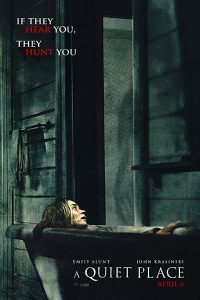 If all of this is not enough to make people distrust their government, the film also shows that, beyond the scrutiny of civil rights lawyers, its prison officials are happy to brutally beat Deadshot and subject Harley Quinn to electric shocks; Waller personally executes several government workers unfortunate enough to observe events that they had no clearance to observe; and one Suicide Squad member who tries to escape is immediately killed. The overall message seems clear enough: if superheroes and supervillains ever emerge in our society, it will bring out the worst in our government. Given this theme in the film, one might describe it, aptly enough, as “dark,” so it is appropriate that Deadshot tells Flag, “You know the dark places too.” But that doesn’t mean that a film like this literally has to be dark, and in this respect Suicide Squad is unpalatably similar to Batman v Superman. By my estimate, at least 80% of this film takes place at nighttime, and at one point it starts to rain as well. Someone might think that this makes everything more dramatic, but its actual effect is to make things more difficult to see – particularly while wearing 3D glasses that reduce the brightness of the screen. Thus, heroes in these films should heed the advice that Waller gives Bruce Wayne: “You should stop working nights.” Further, while they may be increasingly portrayed as troubled individuals, superheroes are also supposed to be colorful – both literally and figuratively – and in the dark, everything looks black and white. 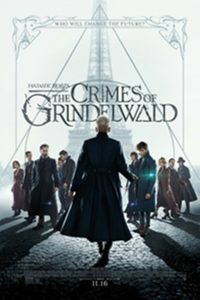 Adding to this film’s drabness is the decision to mostly dress its villains in street clothes, abandoning the distinctive uniforms traditionally worn by characters like Captain Boomerang, Deadshot, and Harley Quinn. Only the evil Enchantress has an unusual costume, and her skimpy outfit is all dark blue or black. The film can also be regarded as a tribute to the history of American popular music, since it seems that at every conceivable opportunity, there is a golden oldie playing in the background, usually with some obvious connection to the plot; e.g., when the film shows a government prison in Louisiana, one hears the Animals’ “House of the Rising Sun” (1964) (“There is a house in New Orleans ….”). Along with at least three new songs – Kehlani’s “Gangsta,” Dan Auerbach and Action Bronson’s “Standing in the Rain,” and “Sucker for Pain,” featuring Lil Wayne and Imagine Dragons – the film includes snippets from Lesley Gore’s “You Don’t Own Me” (1963), Etta James’s “I’d Rather Go Blind” (1967), the Rolling Stones’ “Sympathy for the Devil” (1968), Credence Clearwater Revival’s “Fortunate Son” (1969), Norman Greenbaum’s “Spirit in the Sky” (1969), Black Sabbath’s “Paranoid” (1970), War’s “Slipping into Darkness” (1971), Queen’s “Bohemian Rhapsody” (1975), Rick James’s “Super Freak” (1981), and Eninem’s “Without Me” (2002). The list is not complete; presumably, only Rolf Harris’s 2014 conviction for sexual assaults on minors prevented the filmmakers from using his “Tie Me Kangaroo Down, Sport” (1960) to herald the first appearance of Australia’s Captain Boomerang. The use of all these copyrighted songs did require some additional expense, and while the filmmakers were perhaps only hoping to profit from a soundtrack album filled with proven hits, these borrowed anthems also suggest that they lacked confidence in their own material. That is, if you’re worried that filmgoers aren’t going to respond to what’s occurring on the screen, you might toss in a few bars of a favorite song to spark an emotional reaction, or provide a moment of pleasure. Like Batman v Superman, this film seeks to acknowledge the prominent creators of the DC comic books featuring its characters by listing their names in the credits – though they go by so quickly that this time, I only noted the first name on the alphabetical list, Jim Aparo. Cynics might note that, while the gesture is nice, all of these individuals are never earning any money from these films, as all profits go directly to Time Warner, Inc. This is presumably why the writing credits do not include the name of John Ostrander, who authored the issues of Suicide Squad that most directly inspired this film. Still, the Suicide Squad does rescue Waller from a skyscraper identified as the John F. Ostrander Federal Building, which might warm the man’s heart a little bit. Ostrander and the other authors and artists might also appreciate the fact that this film, in contrast to Batman v Superman, is truer to both the contents and spirit of the comic books it is adapting, and one leaves the theatre feeling slightly more optimistic about future installments of the DC Extended Universe. 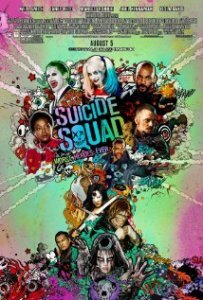 This is not to say that Suicide Squad is a masterpiece – it most certainly isn’t – but it is a better film than its predecessor; and in Hollywood’s world of flying men and monsters, dedicated to squeezing the last possible ounce of profit from every one of its valuable assets, that might be all that modern filmgoers can reasonably hope for. This is a great movie review, not Westfahl’s best one, but still a marvelous read. He weighs the pros and cons for moviegoers to decide for themselves if the movie is something they would like to watch. I read it, I decided, and then I watched Suicide Squad. I don’t feel ripped off, and I even feel like taking a look at the original Suicide Squad comic books which I had never read. That said, I found the movie to be fun and hip, though I agree with Westfahl that it could have been made way better. Less clutter, fewer characters and better script allocations for them, and a little more confidence in the production. But it does have a certain amount of trueness to the spirit of the original comics, and I appreciate that. I rather liked the Joker in his newest incarnation, different yet bizarre and amusing, but I really wished his role was better integrated into the plot. I believe John Ostrander deserved to have his name in the opening credits, and the scriptwriters did well by his story. By the way, I think it is possible for a movie like this to try to make its viewers trust their governments more instead of less. A fictional government of DC-universe America can have proactive involvement with the affairs of superbeings, protect law and order from the superpowered threats, and can do so without demonstrating such cruelty and oppression as is typical in a movie like this. I would add that, like Batman vs Superman, and like this year’s Marvel adaptations of X-Men and Captain America, and also like Star Trek Beyond, they all make a valiant attempt to do justice to their creators and inspirations, even though they are the trendy variety of cinema that resembles a theme-park ride more than a movie. And, like all of the above, Westfahl’s reviews gave a good analysis its strengths, weaknesses, and what to expect by a viewer. With respect to Gary Westfahl, he seems to me to know what makes them tick, the universes of Star Trek, Marvel and DC and all their heroes and villains. The originals work well, and so some of their spinoffs. Don’t they all have one thing in common, a certain fifth element? I recently saw a remastered episode of the original Star Trek series, “Return to Tomorrow”. It had some rather hammy acting, but that acting was appropriate for the kind of story it told. Captain Kirk had a preachy moment of expressing the spirit of the Federation: to take that risk to explore, discover, go beyond. I take that as the quintessence of Gene Roddenberry, Stan Lee, and all the numerous other creators and artists, including the ones who made this year’s trendy movies. Star Trek Beyond would have benefited from preaching less of its message and practicing it more–however, it did succeed at it with the creation of a utopian artificial planet, a fine example of awaits in the future of human endeavor. Similarily, Suicide Squad could have not bothered so much to make the villains likeable, but instead confront more of the moral dilemmas of its world, to go a little more beyond the inner space and try to question what makes us human beings tick. I’m not sure it succeeded with that or much else. It did look just fine on a screen without 3-D.